The Arctic is changing at a rapid pace. Temperatures rise at twice the global rate, and both the length of the snow covered season and snow thickness are affected. These highly visible changes impact the growth of vegetation and lead to the thaw of permafrost – frozen ground containing immense amounts of carbon. This can cause a large release of greenhouse gases from the Arctic, which would worsen climate change. In my research, I explore the interactions among these processes with computer models, and aim to improve these models with what we learn from observations. Currently, I'm leading the Norwegian-Swedish research project WINTERPROOF (2018-2022) which focuses on model representations of snow-vegetation-permafrost interactions and associated arctic climate feedbacks – funded by both the Norwegian and Swedish Research Councils. In this project, I supervise two PhD students, and my team and I collaborate with a number of institutions from Norway, Sweden, Denmark, Germany and France. In addition, I contribute to expert assessments of AMAP, a working group of the Arctic Council. I coordinated a chapter on the 2015 report on methane and I'm a lead author on the SWIPA 2017 assessment. I'm also a member of the Permafrost Carbon Network, the Global Carbon Project and Winternet, and regularly write columns about climate change for the Norwegian newspaper Klassekampen. Adventdalen on Svalbard, one of my main fieldwork areas. 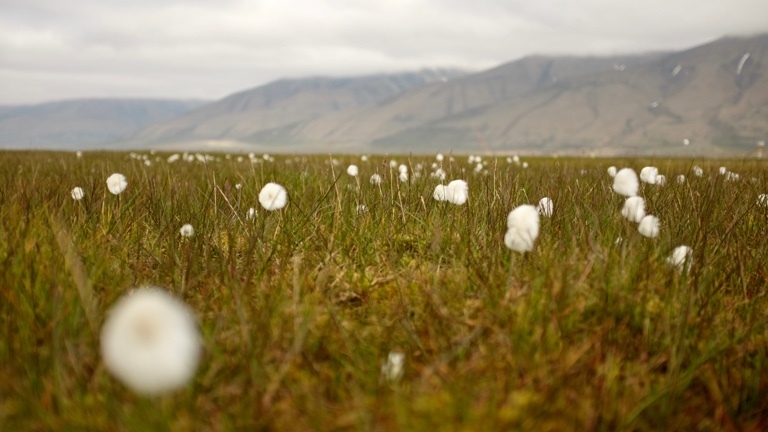 The cottongrass (Eriophorum scheuchzeri) pictured in the foreground plays an important role in the production and emission of the potent greenhouse gas methane. In the past, I've worked at several research institutes in Scandinavia and the Netherlands. I received my PhD in 2011 from the Vrije Universiteit Amsterdam in the Netherlands for my research on the drivers of greenhouse gas exchange from tundra, for which I frequently visited the Kytalyk nature reserve in northeast Siberia to do fieldwork. 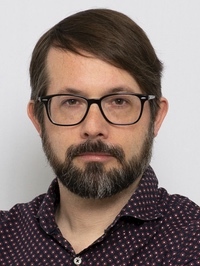 I was a postdoc at Lund University in Sweden, where I studied connections between the arctic carbon cycle and sea ice decline – since the latter plays an important role in the amplified warming of the region. I worked in Lund for five years, when I was also a visiting researcher at Aarhus University in Denmark. After receiving a small grant in 2016, I worked on my own project at the Norwegian Research Institute Nibio, investigating how an extreme winter affected the CO2 uptake of a subarctic peatland. In 2017, I took on a research position at UiT – The Arctic University of Norway in Tromsø to study snow-vegetation-permafrost interactions in the Adventdalen valley on Svalbard. Since July 2018, I'm a researcher at both Lund University in Sweden and the University of Oslo in Norway, and my position is shared 50/50 between the two. Here is a small selection of the 35 papers I have published in peer-reviewed scientific journals. The full list of publications is available on this site, as well as at Google Scholar. I have reviewed for the following journals (among others): Nature Climate Change, Nature Communications, Global Change Biology, Geophysical Research Letters, Environmental Research Letters, Biogeosciences, Atmospheric Chemistry and Physics, The Cryosphere, Journal of Geophysical Research: Biogeosciences, and Scientific Reports. See also my Publons profile for more information on this topic.